This specimen is part of the large batch of fossils that the Grant Museum recently received from the Geology department at UCL. 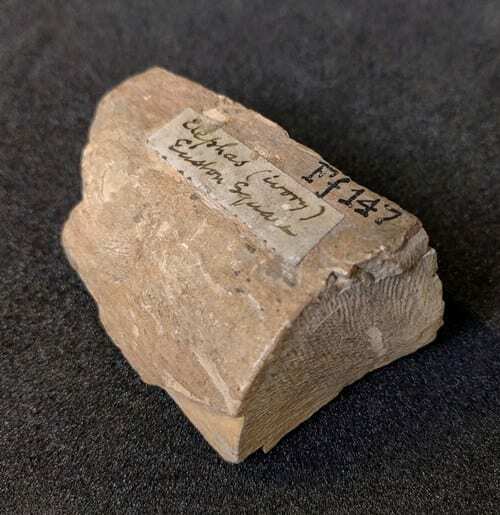 We have talked about some of the other specimens in previous blogs – Underwhelming Fossil Fish of the Month, Fossil Box 12, and the Mantell Iguanodon bones. Many specimens in the Grant Museum don’t have any information associated with them. They have no collection location, no date of collection, no collector’s name and no species name. This is likely because the collection was developed as a teaching tool rather than as a record of species in space and time. We try to fill in the gaps by identifying the species, but beyond that there often isn’t much we can add. When a specimen with an interesting provenance appeared I jumped at the chance to play detective and find out more about it. I started with the ‘ivory’ part of the information. A quick inspection of the fragment showed it does indeed have Schreger lines, the characteristic cross-hatch pattern found in ivory from the elephant family. So far, so good, I moved on to the species name. Elephas is the genus that contains the modern Asian elephants Elephas maximus, and related fossil species. All the species in the genus Elephas are Asian or African, so this seemed an unlikely identification. 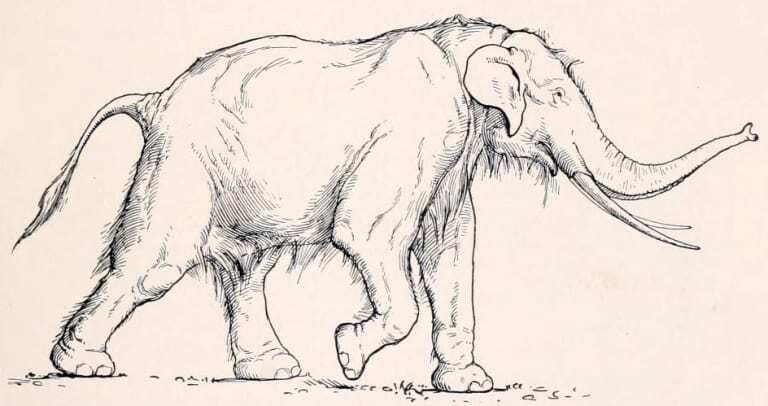 However, ‘Elephas’ is a very old name, described by Linnaeus in 1758. Lots of species have been included in this genus in the past that have since been moved to new genera. 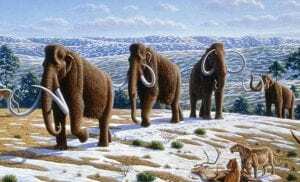 This includes the Pleistocene species Mammuthus primigenius (woolly mammoth) and Palaeoloxodon antiquus (straight-tusked elephant), both of which have been found in Britain. Woolly mammoths lived in the cold steppes of Europe, Northern Asian and North America 400,000 to 4,000 years ago. Adults grew to around 2-3m tall at the shoulder and weighed 4-6 tonnes. 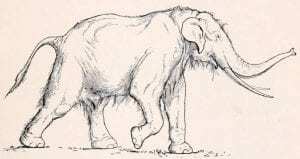 Straight-tusked elephants preferred a warmer, wooded habitat and lived in Europe 781,000 to 50,000 years ago. They were larger, reaching 4m tall and a whopping 11 tonnes. Excited about the specimen I tweeted a picture, and a UCL researcher replied with the next part of the puzzle. This helpful tweeter got in touch to let me know that the whole of UCL is built on ancient river terraces with lots of Pleistocene fossils and even some stone tools. The Pleistocene is commonly referred to as the ice age, but in reality was made up of several ice ages and warmer interglacial periods from 2,600,000 to 11,500 years ago. 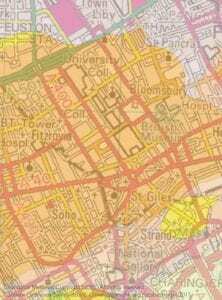 He shared this map of the area showing the Lynch Hill Gravel (in orange) that the specimen would have come from. At this point I decided the specimen was worthy of a blog and set out to find more information on the British Geological Survey website. Lynch Hill Gravel dates from the Wolstonian Stage, 352,000 – 130,000 years ago, so now the mystery specimen had a date range. What was the Thames Valley like during the Wolstonian Stage, and who might have been making the stone tools? The Wolstonian was an ice age; there have been many ice ages in the past, and the Wolstonian was the one before last. If all the information on the specimen labels is right, that makes our mystery elephant a mammoth Mammuthus primigenius, as straight tusked elephants lived in warm environments. There are many other examples of Pleistocene fossils from the London area from ice ages and warmer interglacial periods. The Natural History Museum has a particularly fine collection including reindeer, bison, elephants and even the famous hippos found in Trafalgar Square. 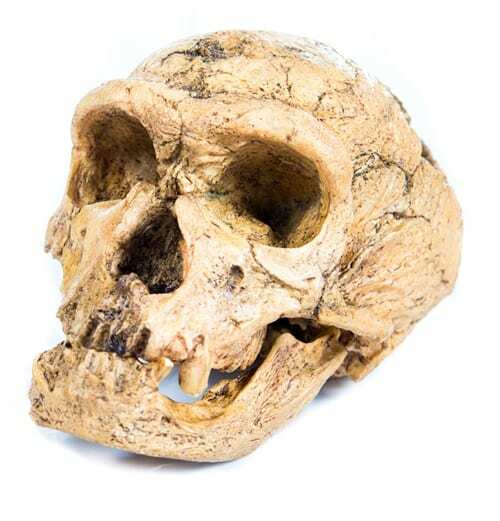 There isn’t a huge amount of evidence of humans in Britain during the Wolstonian, but any humans here at that time were early Neanderthals (Homo neanderthalensis). Museum staff love a good mystery to solve. 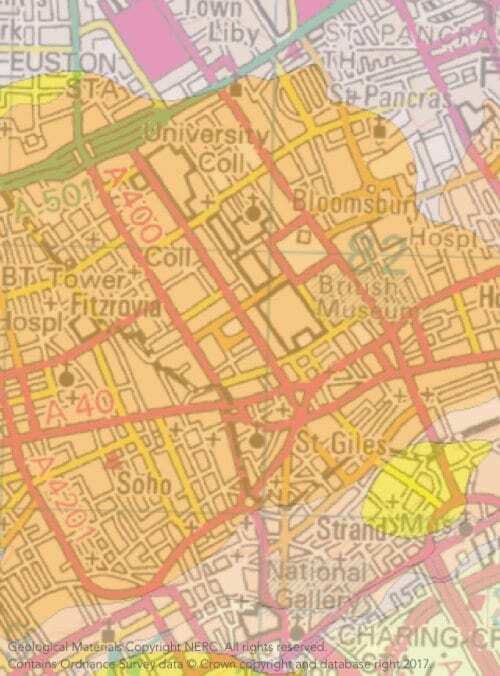 I still don’t know what was happening in Euston Square in 1900 that might have turned up a bit of mammoth, but I’ll leave that part of the puzzle for another day. Stringer, C (2006) Homo Britannicus Penguin Books.